Sun Journal – Maine has a large and healthy black bear population estimated to exceed 23,000. . . Each year hunters take about 10 percent of Maine”’s bear population. Over the past few years, a couple of bears have been taken taken that weighed in at well over 500 lbs. More bears are bagged in Aroostook County than in any other county. How much further is it to Freeport? . . .
About 25,000 miles the way you’re headed. How do I get to Skowhegan? . . .
Don’t you move a goddamn inch. Where does this road go?. . . .
Don’t go nowhere. Stays right here. How do I get to Boothbay Harbor? . . .
How do we get to Topsham? . . . Don’t rightly know . . . Well, how about Gorham then? . . . Nope, don’t know that ithah . . . You don’t seem to know much . . . Ayah, but I ain’t lost. How do you get to Bangor? . . .
Well, I usually get my brother to drive me. Make any difference which of these roads I take to Bangor?…. Not to me it don’t. In 1939, Maine passed legislation to make it illegal to put tomatoes in clam chowder. 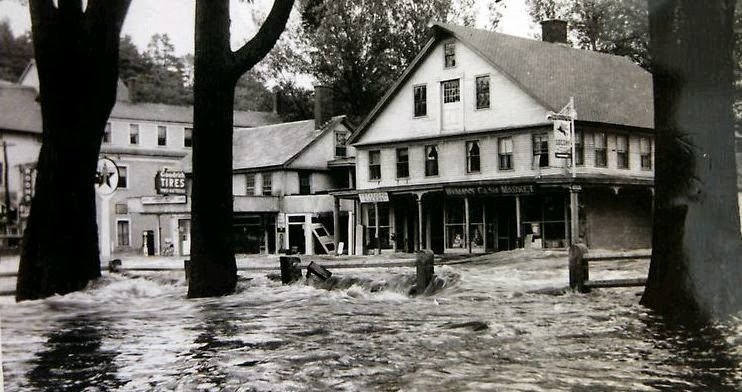 Press Herald – About 700 people died when the storm known variously as the Great New England Hurricane of 1938 or the Long Island Express began plowing up the Northeast coastline at 2:45 p.m. on Sept. 21, 1938. A weather station in Massachusetts recorded sustained winds of 121 mph and gusts as high as 186 mph — a major storm by modern standards that dwarfs the land wind speeds recorded in storms Irene and Sandy, which also devastated parts of the Northeast in recent years. IS IT PROOF OF A VIKING VISIT OR IS IT A FRAUD? Brunswick Times Record – Moxie was the nation’s first mass-marketed soft drink. Dr. Augustin Thompson of Union devised the concoction, purportedly for medicinal purposes. Moxie was first marketed as a patent medicine in 1876 in Lowell, Mass. One spoonful of Moxie was said to cure multiple ills, including “loss of manhood, paralysis and softening of the brain,” according to the festival’s website, http://www.moxiefestival.com. The drink, which Boston Red Sox slugger Ted Williams famously touted in both print and radio, is now owned by a subsidiary of the Coca-Cola Bottling Co.
What makes Moxie unlike other soft drinks is its unique flavor. Indeed, the beverage has generated a catalog of YouTube videos dedicated to descriptions of its distinctive taste. David Epstein, Portland Press Herald -There have been very few times over recorded weather history that Portland has received over 2 feet of snow in a single storm. Back in January 1979 a storm of light fluffy snow would end up giving the city just over 27 inches of powder. That particular storm isn’t very memorable to many because it didn’t do a lot of damage to the shoreline nor did it cause widespread power outages. I didn’t have school for three days, so I do remember that storm. 35 years ago, the famous Blizzard of 1978 pounded southern New England with nearly 4 feet of snow in places, but here in Maine a foot was more common. However, that storm was memorable because of the damage it did to the Old Orchard Beach Pier. From February 24th to the 28th 1969 it snowed for nearly 100 hours and Portland would again end up with about 27 inches of snow. Those storms are some of our largest to ever hit southern Maine. …For an official blizzard to end up in the record books our winds must remain sustained at 35 miles per hour or higher have to coincide with the very intense snow. Visibilities need to be recorded under 1/4 of a mile for three hours or longer. Sometimes, in these storms a town like York could experience blizzard conditions while 40 miles away in Sebago winds are just under blizzard criteria. There have been many storms with near blizzard conditions, but very few ever reach blizzard criteria over a wide area. Bowdoin Daily Sun – Novelist Harriet Beecher Stowe was born in 1811. Her anti-slavery book, the seminal Uncle Tom’s Cabin, is called “the most influential novel in American history and a catalyst for radical change both at home and abroad” by author and Stowe scholar David S. Reynolds . . .. [A] Walking Tour of Stowe’s Brunswick, led by historian Dr. Polly Kaufman and sponsored by the Pejepscot Historical Society, begins at 12:30 p.m., Sunday, June 26, outside the Pejepscot Historical Society building at 159 Park Row, Brunswick. Stowe wrote in her husband’s study in Appleton hall and in the family home on Federal Street, where she hosted Bowdoin students to read and discuss the book before it was published. Among the students that gathered at her home was Joshua Chamberlain. . . Joshua Lawrence Chamberlain, of the Class of 1852, called Stowe a genius, and he would later recall the privilege of Saturday evenings spent with the author and fellow students on Federal Street. Why are so many Maine towns named after foreign places? After 6 years, the Umbrella Cover Museum outgrew its place in Nancy 3’s kitchen and is now housed at 62-B Island Avenue, Peaks Island, Maine. It is open during the summer, call or e-mail for hours and directions to the museum from Portland, Maine. It’s a lovely 20 minute ferry ride from Portland and a five minute walk from the landing on Peaks. Umbrella covers currently on display at the Umbrella Cover Museum hail from thirty countries. Regular Museum events include guided tours and the singing of “Let a Smile Be Your Umbrella,” with accordion accompaniment. A $2-$5 donation is requested. For more information contact Director, Nancy 3. Hoffman or phone 207-766-4496. As of June, 2009, there are over 600 covers in the collection from 37 countries. The museum has been featured on National Public Radio, BBC Radio London, as well as in numerous published articles. Bangor Daily News – Maine sent mixed messages about extending voting rights to women, before finally doing so. After the Legislature strongly endorsed women”s suffrage in 1917, a people’s veto took back those voting rights. Two years later, however, Maine voters changed course and voted to ratify the 19th Amendment to the U.S. Constitution, which extended the right to vote to women.